I received these three lovely stories from #kidlitexchange to read in exchange for an honest review. 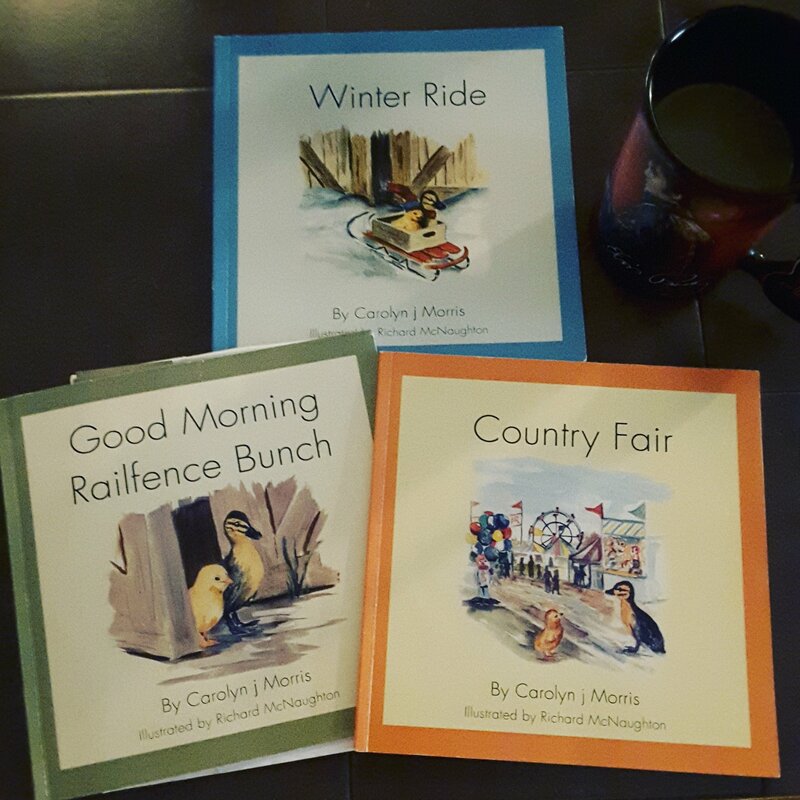 All opinions are my own.🌟🌟🌟🌟🌟 Good Morning Railfence Bunch, Country Fair, and Winter Ride by Carolyn J Morris. The three read together wonderfully but could also be read separately and understood. Chick and Duckling have wonderful adventures together. In Good Morning Railfence Bunch they meet other animals on the farm. In Country Fair they introduce 4H and sites at the fair. In Winter Ride they travel through the farm for frozen sites. Rhyming words and repetitive sentences keep little ones engaged in reading. By the end my three year old was able to recognize repetitive sentences in each book. AMAZING! Review also posted on Instagram @jasonnstacie, and Library Thing.